In a mere day I will be making a huge change in my life. I'm moving to England! Now this is an enormous step for me. I'm not just moving from Wales to England. I'm moving from St. Lucia, a teeny tiny island in the Caribbean to a country x1000 it's size, and who's ways of life are so vastly different to what I've been used to all my life. I must admit though, that I will miss life on this gorgeous little speck. I can honestly say that I greatly enjoyed growing up here, and I'm thankful that my first 18 years of life were spent in St. Lucia. Oh and I'm going to miss those AMAZING freshly baked Rocky Road cookies for any of the SuperJ supermarkets. Oh my days!!! They are SOOOOOO GOOD!!!!!! (Not getting paid to say this by the way..... Unfortunately :( But Mr. Chastenet if you're reading this then you can email me at jamesmarcelle1@gmail.com and we can work out a lil' something something ;D) I had a proper little tear with the lady I always buy them from when I told her I was moving away. I'm going to miss her so much. She has a God-given gift of baking cookies. I'll also miss the local 7 O'Clock evening news, when they read out the results for the weekly poll, "Last week we asked you if you thought it was a good idea for the government to cut public worker's salaries by 5% and here's what you said..... 70% said No, 15% said Yes, 10% did not know, and 5% DID NOT CARE." I always find that last option hilarious (I'm very easily amused in case you haven't realised). I mean surely you must care a little bit about your lively hood getting slashed by 5%. Do they not understand the severity of it?? DO THEY NOT KNOW JUST HOW MANY ROCKY ROAD COOKIES THAT COULD BUY!?!?! About 75!!!!!!! (For someone making $1,500 a month). Of course I will miss my many friends and family members, you guys are all so amazing and I will really miss you all. I will miss the heavenly year-round warmth, the cool tropical breeze and beautiful sunshine. I'll miss picking mangoes, bananas and golden apples from our garden. I'll miss waking up to this every morning. And I'm going to miss living on a hill above one of the most gorgeous beaches, and just being able to take the two minute walk down to it whenever I please. On another note, here's what I will NOT miss about St. Lucia. First of all, not being able to buy a flipping bag of Walker's Crisps, COME ON ST. LUCIA, it's the 21st century!! And don't get me started on the lack of decent chocolate and the exorbitant prices. A guy can't get a Flake bar if his life depended on it. I've never even had a Moaom!!! So, so deprived. I had my first Minstrel and Malteser when I was 14 and I've had them twice since then. Why don't we have a McDonald's? Pizza Hut? Starbucks? Gregg's? And we HARDLY have a Burger King, it's a pitiful excuse of a restaurant, doubt it's even legally authorised to operate under the Burger King name. It's dark and dingy, the air conditioning is rarely on, creating a lovely furnace-like environment to have dinner as a family. I'm not going to miss the third world internet which is more off than on, with its measly upload and download speeds. Okay I think I'm done bad talking St. Lucia (for) now. 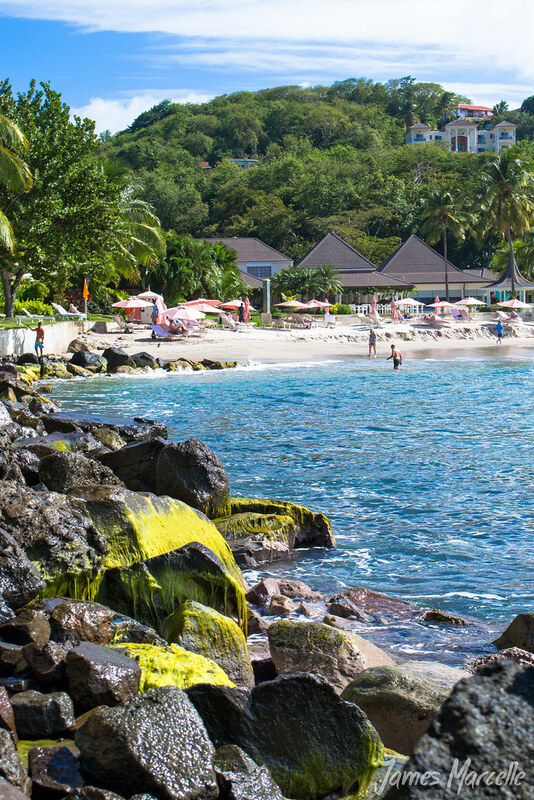 As the British would say, 'I will love you and leave you' St. Lucia! It's been real. Hope you enjoyed this blog post! More coming next week when I start writing about all my new adventures! Trust me, it's going to be crazy good. So please share, like and tweet it, and tell as many people about it as you can and I'll love you forever! :) Sign up to get an email subscription as to when a new article comes out!